TRIESTE 2019 Premi in collaborazione con Cineuropa News. The Delegation di Bujar Alimani. Il Trieste Film Festival ha annunciato i vincitori della sua importante edizione del 30° anniversario, con la vittoria di The Delegation di Bujar Alimani che ha ricevuto il Premio Trieste per il miglior lungometraggio, come votato dal pubblico, e il Premio della giuria PAG. Il Premio Alpe Adria Cinema per il miglior film documentario è stato conferito ad Anja Kofmel per il suo Chris the Swiss; il premio, sempre votato dal pubblico, è anche accompagnato. Chris the Swiss ha inoltre vinto il Premio Osservatorio Balcani e Caucaso - Transeuropa. Il Premio Cineuropa, assegnato a un film partecipante allo stesso concorso, è andato al secondo lungometraggio di Ognjen Glanović, The Load. Nella competizione Corso Salani riservata ai nuovi lungometraggi italiani, assegnato da una giuria composta da Caterina Mazzucato, Judit Pinter e Rino Sciarretta, è stato attribuito a My Home, In Libya di Martina Melilli. Inoltre, il Premio del pubblico per il miglior cortometraggio in concorso, del valore, supportato dalla Fondazione Osiride Brovedani, è andato al titolo ungherese Last Call di Hajni Kis. Il premio onorario Eastern Star è stato conferito all'acclamato regista macedone Milcho Manchevski, mentre il direttore del Sarajevo Film Festival Mirsad Purivatra ha ricevuto il Premio Cinema Warrior. Il leggendario regista serbo Želimir Žilnik, una delle figure chiave della Black Wave jugoslava, è stato premiato con il Central European Initiative Award. L'elenco completo dei vincitori del 30° Trieste Film Festival: Premio Trieste per il miglior lungometraggio. Cineuropa Prize at the 30th Trieste Film Festival. Ognjen Glavonić's The Load is an artistically excellent treatment of one generation's view of how its predecessors, whether actively or passively, destroyed lives and societies in the Balkans, by a first-time filmmaker who possesses the talent and creativity to transcend judgment and achieve catharsis. 13/05/2018 - CANNES 2018: Ognjen Glavonić's first fiction feature is a stark look at a war crime from the Kosovo War and its implications, with Leon Lučev giving an amazing performance in the main role. Serbian filmmaker Ognjen Glavonić's first fiction feature, The Load , has just world-premiered in the Cannes Directors’ Fortnight. Following up on his 2016 Berlinale Forum documentary Depth Two [+], this road drama with strong thriller elements picks up on the same subject of a war crime from the Kosovo War in 1999, during the NATO bombing of Yugoslavia. Serbian filmmaker Ognjen Glavonić is competing in the Cannes Directors’ Fortnight with his first fiction feature, The Load [+], which tackles a crime from the Kosovo War that he first visited in his documentary Depth Two , but in a very different way. Glavonić tells Cineuropa about how the two films came into being and influenced each other. Cineuropa: Why did you decide to tell this particular story, and in two films? Why is it so important to you? Ognjen Glavonić: The subject matter that I'm dealing with is still conspicuously absent from the public discourse. I wasn't curious just about the theme of the crime and the silence surrounding it; I was interested in the possibility of telling the story in what I think is an exciting way. Depth Two came out of research I did for The Load, and it was made when I realized that it was impossible to force the huge amount of material I had found into a fiction film, because that's not where it belongs. Eventually, Depth Two changed The Load from what I had originally imagined. I modified the script and shifted the focus to other things, changing the context to avoid any repetition. I wanted this film to be a personal reflection, an amalgam of my memories and research, which often collided with each other. I wanted to emphasize the significance of a conversation about responsibility, instead of looking for alibis and pointing fingers at the "Other". I think it's necessary for cinema to speak to, as Pasolini put it, young fascists, those who are on the way to becoming ones – to educate them, teach them, jolt them out of their delusions and crack the national mythomania. A film should be a mirror of society, whatever the reflection we get. This film is as much about the city, government and society that I am now living in as it is about the one I grew up in. But it is also about Yugoslavia and its remains, about the lessons that we can learn from it and its dissolution, and about my growing up and experiences during the NATO bombing. Above all, this is a film about what kind of inheritance a generation leaves to the next one. It's about stories that people did not want, or were not brave enough, to tell. This is the first step through the jungle of noise and lies, and as Kafka says, paths are made by walking. How did you arrive at this form for the film, with very little actual war in it and a focus on one character? I never thought about The Load as a war film, and nor did I want to make an action film. For me, it was an intimate, personal drama, where we feel the consequences of the war more in the face of the main character, rather than around him. It was also always supposed to be a story about him discovering not only what’s in the back of his truck but, through that, some truths about himself as a human being. I wanted people to get this feeling of a war being fought in the background and an overwhelming danger looming somewhere nearby. I didn’t want hundreds of different shots and camera angles; it was more important to spend time with the character and the sound of the truck, to see what he sees and to feel what he feels. Through his senses, I wanted to show how my country looked at that time, without explaining the context too much or distributing information, messages and theses. I wanted to show the metaphysical, inner journey of my character, but also a society at a very specific moment of its decay. How did you pick Leon Lučev for the main role? I chose Leon after I saw him portray very different characters in several good films. We started working on the movie three years before we started shooting, and the experience he brought not only to his own character and the film itself, but also to the actual shoot, gave me, a distracted young director, a sense of security. Thanks to him, I started to believe that perhaps everything would turn out fine in the end. On 19 January, the city of Bilbao hosted the sixth edition of the Feroz Awards, the trophies handed out every year by the Spanish Association of Film Journalists (AICE), at which there was one man who went up on stage a total of three times: filmmaker Rodrigo Sorogoyen. His latest movie, The Realm, earned him the Awards for Best Director, Best Screenplay (which he co-wrote with Isabel Peña) and Best Drama of 2018. In addition, his actors Antonio de la Torre, who plays the lead role (and who was absent from the ceremony), and Luis Zahera, performing in a supporting role, were triumphant in their respective categories. All in all, five Feroz Awards were bestowed upon this corruption-themed thriller that was first presented at the most recent San Sebastián Film Festival. The movie has so far grossed almost €1.5 million, and was co-produced (with France) by Atresmedia Cine and Tornasol Films, among other outfits. Gerardo Herrero, a seasoned industry professional who heads up the latter company, was clearly moved as he took to the microphone and dedicated his award to young producers. He also urged those present to continue supporting excellent films – as exemplified by two of his rivals, Carmen & Lola and Journey to a Mother’s Room. Quién te cantará, the third movie by Carlos Vermut, which previously won the Feroz Award at the most recent edition of the San Sebastian Film Festival, garnered four prizes: Best Poster (designed by Vermut himself), Best Trailer, Best Soundtrack (composed by Alberto Iglesias, a musician who regularly works on the films of Pedro Almodóvar) and Best Lead Actress for Eva Llorach, who, after also scooping the Forqué Award a few days ago, is clearly on course for victory at the Goyas, which will be handed out on 2 February. At the ceremony presented by actress Ingrid García-Jonsson – which was more entertaining and spirited than proceedings usually are at events like this, and which was fuelled by an abundance of alcohol, some savage humour and a handful of indelicate remarks – the Special Feroz Award was bestowed upon Between Two Waters, a film helmed by Isaki Lacuesta; the Honorary Feroz Award (with a huge accompanying round of applause) upon the great José Luis Cuerda (“my film teacher”, as he was described by Alejandro Amenábar, who handed him the statuette); the Best Documentary Feroz upon the film Notes for a Heist Film by León Siminiani; and the Best Comedy Feroz upon Champions by Javier Fesser. The ceremony unfolded before the gaze of around 3,000 people who attended the gala, plus guests such as the mayor of Bilbao, Juan Mari Aburto, the director of the ICAA, Beatriz Navas, and the president of the Spanish Academy of Film Arts and Sciences, director Mariano Barroso (who, incidentally, was nominated for his TV series El día de mañana). Emir Kusturica • Fondatore e regista del Küstendorf Film and Music Festival. 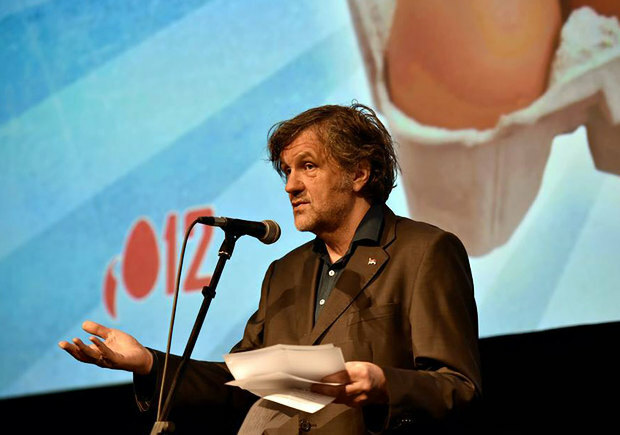 "Non c'è modo per i film che amo di avvicinarsi al pubblico, essere artistici e commerciali allo stesso tempo"
At the 12th Küstendorf Film and Music Festival, Cineuropa met up with its founder and head, Serbian director Emir Kusturica, to talk about several recent phenomena that need to be acknowledged, and how they may affect the future of the cinema. Cineuropa: At this year’s edition of Küstendorf, the motto of which ("The perfect dozen") is all about perfection, in your inaugural speech, you voiced quite a few concerns. Emir Kusturica: Those are the questions and themes that I think are relevant to the continuation of the cinema today. I am positive that the cinema is going to survive. The only thing is that we don't know in which way, and for those people who are very attached to theatres, as I am, it is unsettling to see that the future of film is home cinema, movies on television or cineplexes, and that we are going to lose this kind of passion, or that it will be killed off by the market. This is why festivals are important: they will remain the principal supporter of the classical way of screening films. Even the language of the auteurs now seems to be compromising, visually and formally, between the theatrical format and the fact that a film will be watched on other screens. You talked about the electronic image, scrolling and ads as worrisome adversaries for the cinema. Small-screen-native content in general seems to have imposed a more linear and simplistic type of narration. Ads are awful because they kill the perception of time, and if you look at good movies like Dogman or Happy as Lazzaro [screened as part of the Contemporary Trends programme and followed by workshops], you can see that they operate with time, in two different ways. The style of a great director is in fact defined by the way they work with space and time. Unfortunately, I don't know to what extent these films will succeed in cinemas. Today, I don't believe that you can make it when you’re up against all the movies that are produced for multiplexes, unless you have a stupid Hollywood-type story conceived to please the masses worldwide, supported by aggressive advertising to create that audience. The language of commercial cinema has been simplified, and the length of time that every artist has to reach the audience is short. Take the French-Belgian movie we screened here, Close Enemies: what a good film! I was amazed when I saw it! And also shocked, because for me, this incredible film is as close as it gets to having the best possible chance of reaching a huge audience, and yet it didn't reach it, and this is a dangerous sign for the future. More and more movies will get made as time goes on, but unfortunately, more and more good movies will go undiscovered. Back in 1985 and 1995, when I presented movies at Cannes, it was possible to be well received both by the critics and in theatres, but it is difficult to gain acceptance from both nowadays. So there was a rift? Do you see a glimmer of hope that this situation will be resolved in years to come? What I have noticed is that there is no way for the movies I love the most to get close to the audience, to be artistic and commercial at the same time. Now the public is divided: auteur and mainstream films are two separate things. Zhang Yimou recently told me, "I've just done a commercial movie; now I'm going back to art." When I was growing as a filmmaker, the best approach was to combine both, but today I don't think it's possible. 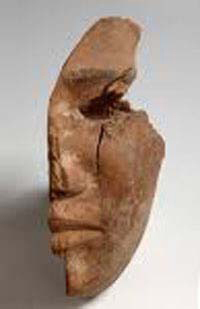 The problem, with human history as well as culture, is that however clear your vision of the conditions that the future will be built on may be, you cannot predict it. The way cinema will develop cannot be predicted, especially not on the basis of the good movies that you see. What dominates is the cinema that people accept and, in a way, expect. An American sociologist named Stark said something that made a big impression on me: that the perfection of the image has been substituted for God, and that we are not moving towards a holy trinity, but rather towards ourselves. We have become part of an ideology, or part of an advertisement of some kind. In spite of it all, you ended your speech with a universal, simple and pure definition of what a good film is: one that speeds up the heart rate. I mentioned I was amazed and in shock after seeing Close Enemies, but Happy as Lazzaro, too, is the work of a very talented director, influenced by the best traditions from different periods in Italian cinema: Antonioni, Rossellini, De Sica, with his need to show that there are, in this world, some people who are so good that they are invincible, and could be the heroes of our time. The perfection of this film lies in Alice Rohrwacher's political engagement and her ideas about life, which are very strong.